Everything you ever wanted to know about holiday breads, from The Cooking Lab's latest cookbook, Modernist Bread. The latest tome from The Cooking Lab, Modernist Bread, clocks in at a staggeringly impressive 2,600 pages, divided into five epic volumes that purport to teach you literally everything anyone ever wanted to know about bread and its fellows. Since we set our seasonal clock by the number of carbs we start to crave (we see you Thanksgiving biscuits), we know that we are well on our way to panettone-land and chilly morning meals solely comprised of coffee cake (definitely a thing, especially when backsliding into a new year). It got us wondering about the all the breads that ring in this time of year, the ones originally baked for a higher purpose and whose traditions (and results) are so delicious, they've stuck with us since time immemorial. Here's a brief holiday primer excerpted from Modernist Bread to get you in the mood. That cylindrical, fruit-studded Italian panettone you see during the Christmas holiday season today is part of a century-old tradition, but the practice of creating special breads to celebrate holidays, harvests, religious rites, and other occasions worldwide dates back thousands of years. If you look at the key ingredients of these holiday breads, you’ll see certain themes popping up, whether they originate in Russia, England, France, Greece, or Italy: many are enriched breads, made with considerable fat and sugar. They’re typically made with fine white wheat flour—throughout most of history, white flour was both more expensive and prized—and they often feature dried fruits, such as raisins or candied citrus. They also often contain warm spices like cinnamon or cardamom. Some have a touch of liqueur added to them. Some are baked with little surprises inside. Many holiday breads are meant to celebrate the end of a fast, to symbolize an offering, or to invite good luck for the year ahead. Christian religions associate Christ with bread—in the Bible, Jesus declared, “I am the bread of life”—so, many of these breads are seen as symbolic of him. In other contexts, breads aren’t symbolic as much as traditional, baked as a reminder of family and togetherness and celebration. We’ve taken some of the more popular holiday breads and divided them into categories so that you can explore these common themes. You can find recipes for several of these breads, including challah, panettone, King’s Day Bread, and Colomba di Pasqua in Modernist Bread. In many cultures, there’s a holiday tradition of baking bread with a small token hidden inside, such as a coin or a whole almond. It’s a nice surprise for whoever gets the slice with the token. The token is sometimes said to bring a year of good luck! Three Kings Bread—also known as Twelfth Night Cake, King’s Day Bread, or Brioche des Rois—is a citron-tinged bread that’s eaten in many countries, including France, Mexico, Spain, and Portugal. A tiny object is hidden inside to symbolize the baby Jesus, and the three kings are the Three Wise Men, or Magi, who came bringing gifts. It’s eaten on Twelfth Night (a Christian holiday 12 days after Christmas) and also in New Orleans during Mardi Gras. Česnica is a round Serbian bread, with a coin inside, that’s baked on Christmas Day. Koledna pitka is the Bulgarian version, sometimes baked in the shape of a sunflower. In both cases, the person who finds the coin is said to be in for a lucky year. Some holiday breads are meant to mark the end of a period of fasting, while others are traditional holiday gifts or delicacies that are baked and eaten purely for enjoyment with family and friends. In Islamic culture, many people conclude the Ramadan fast with shuraik (sometimes called ka’ak), a seasonal bread that resembles bagels in some ways. Soft inside and crispy outside, with a hole in the middle and a slightly smoky flavor, the bread is said to date back to the Ottoman Empire. A number of Anglo-Saxon cultures celebrate Lammas Day, which marks the beginning of the wheat harvest (and thus a time when food pantries are replenished after the long winter) with a special bread. Cozonac is a Romanian Christmas bread that is eaten for Easter or Christmas. It’s similar to panettone. 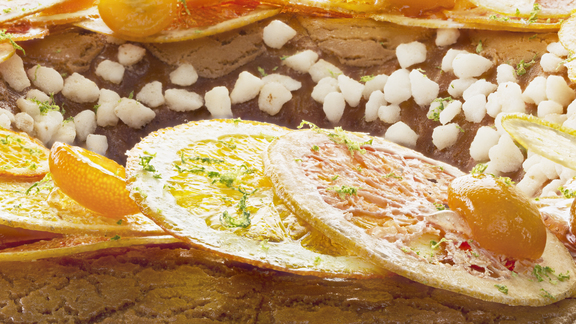 In Peru, the Christmas holidays are celebrated with panetón, a bread also like Italian panettone. It’s sweetened with dried fruit and often enjoyed with a cup of hot chocolate. At Christmastime, Norwegians enjoy julekake, a sweet bread spiced with cardamom. Some breads are baked in symbolic shapes; others represent a religious sacrifice or offering. Stollen, which originated in the 15th century in Dresden, Germany, is a rich bread with candied fruits and nuts that sometimes has sweet marzipan tucked inside. It’s traditionally folded over in a shape meant to symbolize a swaddled baby Jesus. The braided loaf known as challah is traditionally eaten for the weekly Sabbath and around the Jewish holidays. In Hebrew, hallāh refers to bread that has been sanctified through ritual. In Great Britain, sweet currant-filled buns decorated with a cross—and aptly named hot cross buns—are traditionally prepared for Good Friday. The custom dates back at least to the Middle Ages, and some still insist that baking hot cross buns on Good Friday will protect a home from all sorts of calamities during the upcoming year, including fire and bad luck. During the 1500s, when a law prohibited the sale of hot cross buns except on Good Friday, Christmas, and for burials, people made hot cross buns at home to get by. In Russia, many families eat kulich on Easter. 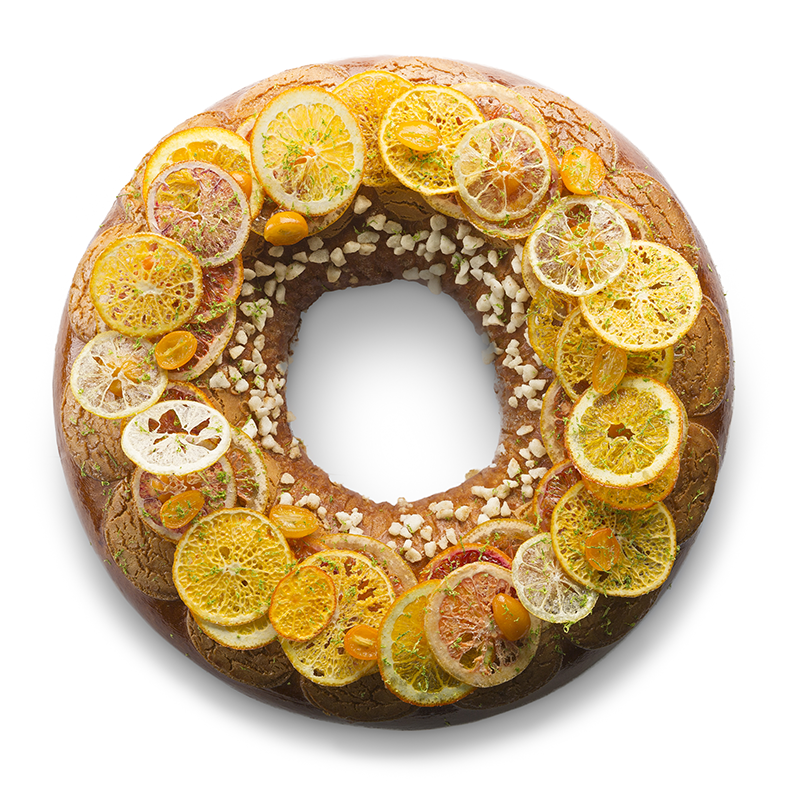 It’s a tall, narrow, enriched bread made with candied citrus peel, almonds, and saffron. The top is traditionally inscribed with symbols meaning “Christ is risen.” Tsoureki is a Greek Easter bread that’s often braided and sprinkled with nuts. It’s served with Easter eggs dyed red to symbolize the blood of Christ. There are so many of these traditional Italian breads that an entire chapter could be devoted to this subject—remember, Italy wasn’t a unified country until 1861, so many regions and cities still have their own holiday traditions. Panettone has long been associated with Milan. Colomba di Pasqua originated somewhere in the Lombardy region of Italy. It’s an enriched bread with a sugar-nut syrup coating served on Easter. The loaves are shaped like a dove to symbolize peace. In Emilia-Romagna, people eat panone di natale, a bread with candied fruit, cocoa, and dried figs. And in Umbria, the bread gets its own unique twist in a version that incorporates nuts, chocolate, and honey, along with pepper and red wine. Excerpt adapted from MODERNIST BREAD, courtesy of The Cooking Lab. Now available! It's never too early to start your Turkey Day prep, you guys. Doing your bread-based homework with an excerpt from the fancy new Modernist Bread! The Krishnas come to play, y'all.